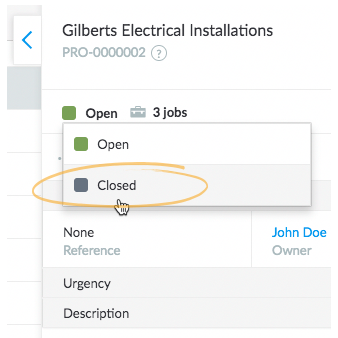 NOTE: This is a Lab feature, which means you can get this feature added to your Loc8 system on request. Please contact our support team to get it enabled for you. Projects are entities that hold the related and otherwise unlinked jobs together. With the help of Projects any new, ongoing or completed jobs that are related to each other as a part of a bigger assignment can be closely tracked and inspected from one place. 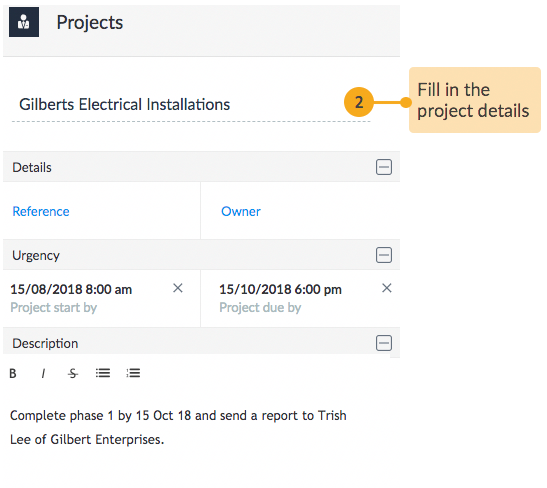 STEP 2 In the new window, enter the details about the project such as its name and the expected timeframe of completing all jobs under the project. 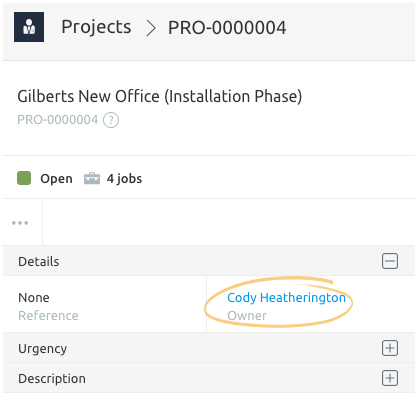 STEP 3 Once the new project is created, you can start linking the related jobs to this project. Please note that the jobs already linked to other projects will not appear in the list. 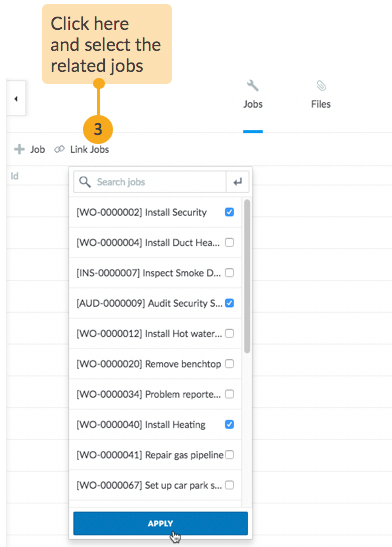 Revise the jobs added to the project, and in case of any incorrect associations, simply unlink the job from the project. 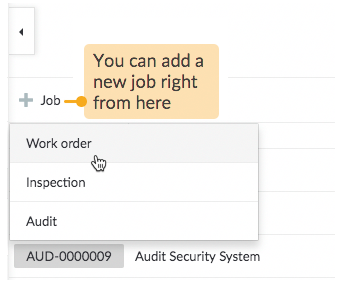 If you need to add a completely new job under the project, you can do so right from here, upon creation the new job will be automatically linked to the project. By default, a project is created with an Open status. When all the jobs have been completed, that essentially means you've achieved your project goal and so you can change the status to Closed. 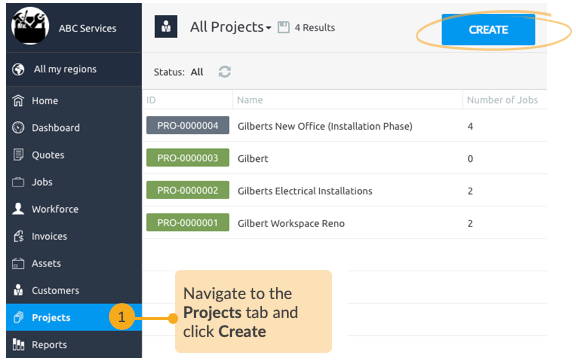 Please note that you cannot assign Projects just like you would assign a job. Rather projects must be monitored by a person responsible in your team. You can specify this person as the Owner in the Project profile.